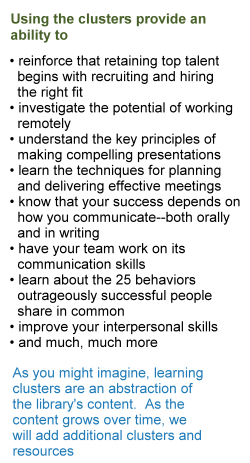 Your personal and organizational success depends on how you communicate--both orally and in writing. 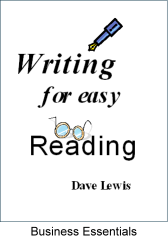 Writing for Easy Reading follows the stern taskmaster's credo: it's not enough to write to be understood; you must write so that you can't possibly be misunderstood. 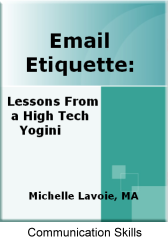 Faulty communication frequently results in lost time and production. 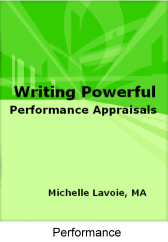 Whether you are a new or experienced supervisor (the word "supervisor" applies to anyone who manages people and is responsible for evaluating their performance), you're likely to experience a mixture of fear and dread when it's time to write performance appraisals. This book will help you to understand why we deliver performance appraisals, and will help you to write performance appraisals that drive an inclusive conversation with your employees.